We’ve hand-picked our favorites gifts for every type of Mom this Mother's Day. This year, why not encourage your customers to swap the ubiquitous bunch of flowers for something she can keep? We’ve hand-picked our favorite gifts for every kind of Mom, so you can ensure your customers find the perfect gift for their loved ones! 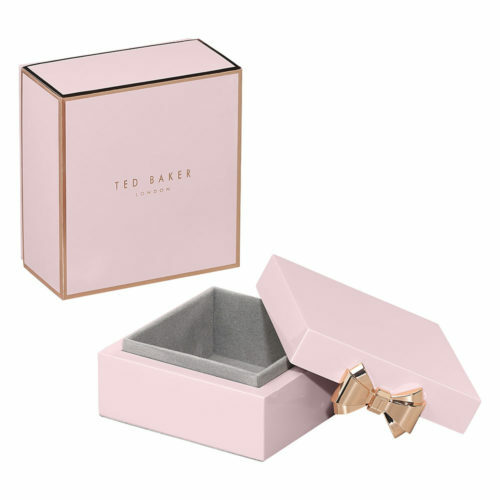 The elegant and eye-catching Pink Lacquer Jewelry Box from Ted Baker is a delightful gift for Mom’s who like to keep their jewelry in order, and in style. Hand lacquered in a pristine pink gloss, the sophisticated two-piece storage box features a soft grey suedette lining, ideal for a host of small trinkets and accessories. The premium accessory is finished with a branded rose gold bow detail at the close, and an embossed Ted Baker logo can be found on the reverse. Presented in a soft touch, keepsake gift box with rose gold edging, this timeless jewelry box looks the part on any dressing table and would make an impressive gift for a style-conscious Mother. Alternatively, these elegant Ceramic Trinket Trays from Folklore will help her store her jewels in style. 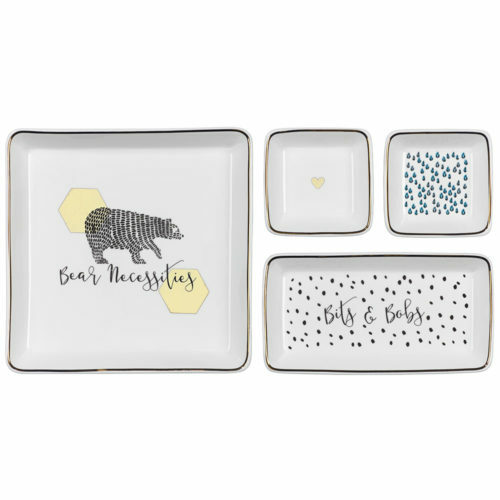 The home accessory comprises of a set of four, with the three smaller trays fitting onto the one larger, displaying the words ‘bear necessities’ alongside an illustration of the brave Folklore bear. Each ceramic tray features a different yet complementary design and the removable sections are perfect for storing jewelry, trinkets and loose bits and bobs. Packaged in a matching gift box, the set will make a thoughtful gift for any Mother! 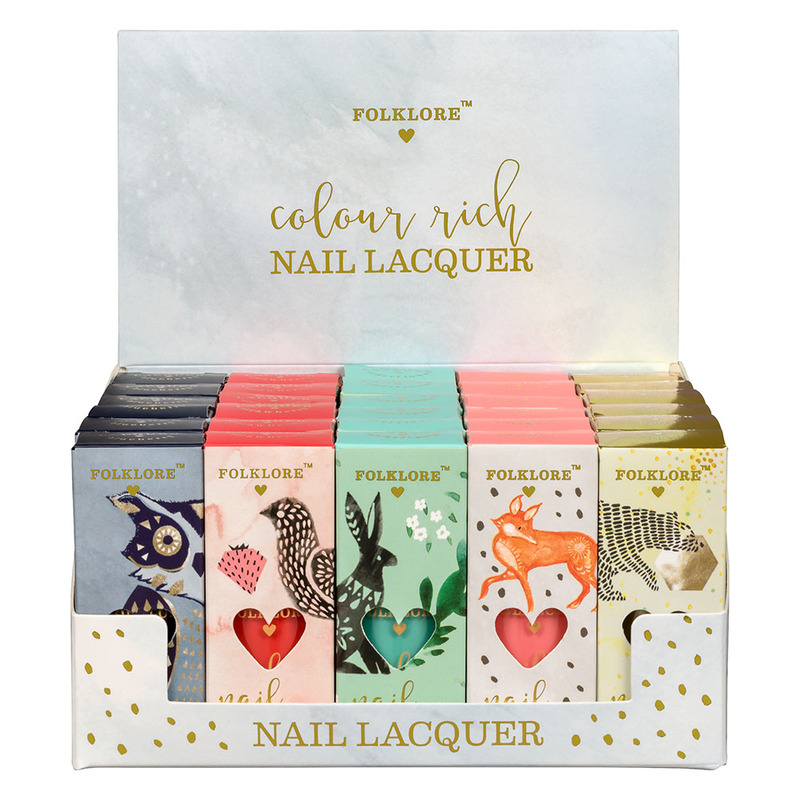 Add a splash of glam to her nails with these chic Nail Lacquers from Folklore. This mixed POS of 30 nail lacquers contains six of each color: Blueberry, Strawberry, Elderflower, Raspberry and Honey. Packaged in pastel boxes, each box features three words printed on the side e.g. ‘Enchanting’, ‘Affectionate’ and ‘Wild’ making it an ideal gift for Mom’s who possess those qualities in their personality. This ‘Woman Power’ Mug from Yes Studio is the perfect gift for Super Mom’s across the world. Help them make a statement and power through their day! 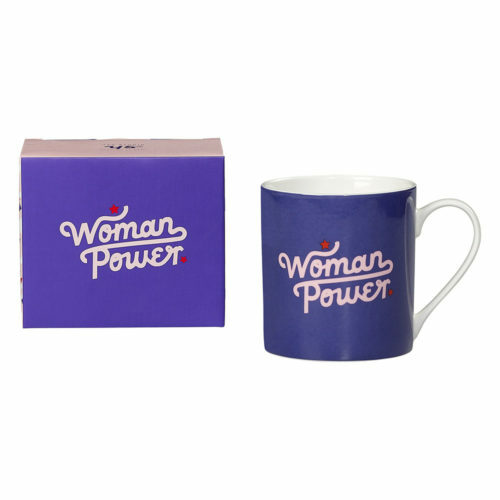 Made from new bone china, the vibrant mug features a white handle, ‘Woman Power’ slogan, and comes packaged in a matching gift box. Perfect for early morning coffees, tea breaks, or cozying up as the night winds down; this mug will make a standout addition to any home or work space. Girl power! Everyone knows a Mom who is always on the go, and she certainly won’t stop for a broken nail! Make her daily commute or school run a little brighter with these Emery Boards from Folklore. This mixed POS of 20 mini emery boards in four designs, packaging in five designs: Owl, Bear, Rabbit, Bird and Fox. Perfect as a little treat for Mom!